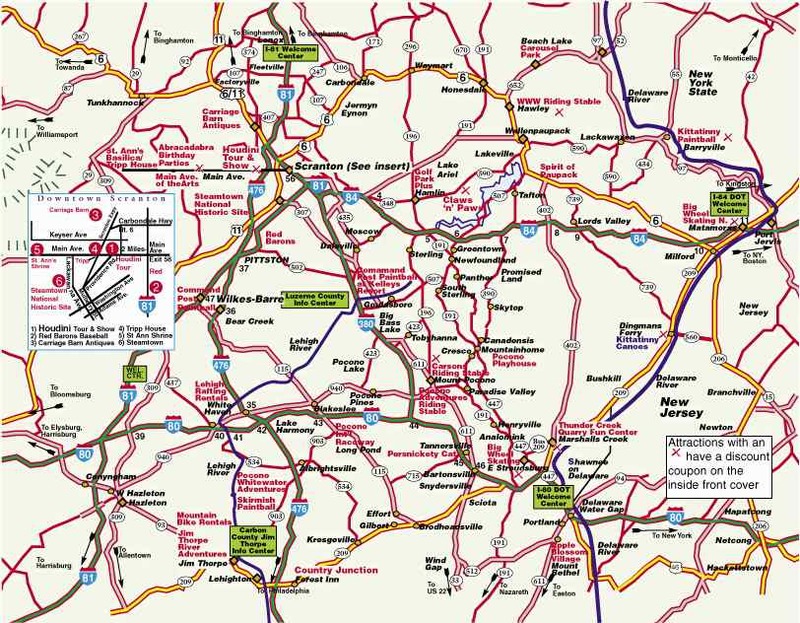 Pocono Mountains Map. Hotels, motels, campgrounds, romantic getaway, honeymoon. couples resorts.